Macgo Mac Blu-ray Player is the first player to support both Mac & Pc systems. 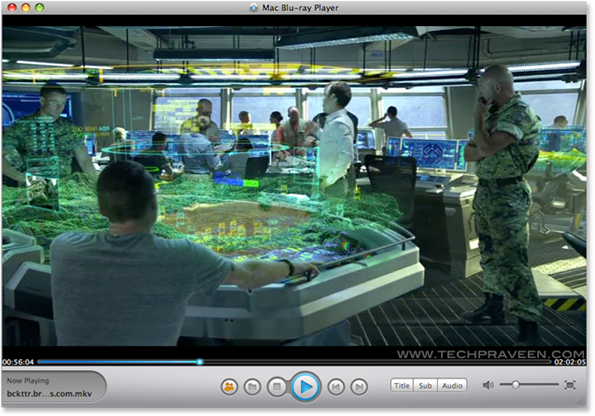 Mac users can now play bluray disc with lots of inbuilt features.I don’t think any other player can provide so much of features as Macgo Mac Blu-ray Player provides. This software can decrypt any bluray discs successfully. Of course, it plays everything from Blu-ray discs to VideoCD, MOV, MKV, AVI, FLV, WMV, MP4, MPEG, RMVB, MP3, WMA, AAC, AC3, as well as regular DVDs. OS X 10.5+,Intel Core2 Duo 2.4GHz processor or higher recommended, 512 MB or higher recommended, 250 MB of free disk space. A internal or external Blu-ray drive. 512 MB or higher recommended, 250 MB of free disk space. Optical blu-ray drive.